Posted on 10/22/2014 Workers' Comp Permanent Partial Disability: Is yours scheduled? Unscheduled? It has been called the “nation’s fastest-growing drug epidemic” by the National Safety Council (NSC) and is charged with killing 46 people per day. Prescription painkillers can be as addictive as heroin, according to the National Institute on Drug Abuse. They are involved in more overdoses each year than cocaine and heroin combined. Many employees in the workforce have abused prescription opioid medications, creating potentially dangerous work environments if they suffer various side effects from the drugs while on the job. Opioid painkillers affect workplace safety for all employees. Even when an employee uses painkillers in the prescribed manner and does not abuse them, the employee may feel their effects on the job and can make critical errors that endanger those around them. Employees who drive vehicles or operate machinery may be at risk when taking painkillers on the job. Prescription painkillers may delay recovery and limit ability to return to work. If recovering from an injury and prescribed opioid painkillers for pain management, some may face longer recovery times and more missed work due to the effects of the drugs. Employers and employees recovering from injuries and taking medication should ensure that the employee is truly fit to return to work. 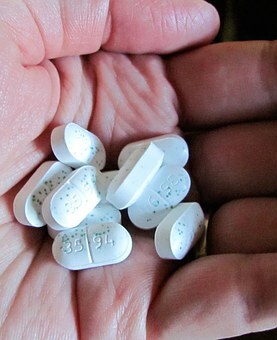 Workers' compensation claims are higher for prescription painkiller users. If an employee uses painkillers prescribed for a work-related injury, an employer should anticipate a higher workers' compensation claim. According to the NSC, workers who took opioid medications were likely to have claims that were four times higher in financial costs than those not prescribed the drugs. The likelihood of a disability claim increases with the use of opioid drugs. Workers who get more than a one-week supply of opioid painkillers shortly after the injury are twice as likely to develop a disability, reports the NSC citing previous research. Employers can help employees get treatment for their opioid addiction. In many cases, workers will respond more positively to suggestions of treatment from employers than those that come from family or friends, according to the NSC. Employers who establish employee assistance programs and offer benefits that pay for inpatient or outpatient drug rehabilitation treatments encourage workers to seek help when they become addicted to prescription painkillers. Protecting the welfare of all employees is essential, and the use of opioid painkillers in the workplace should be forbidden. It can lead to a more dangerous work environment and may lead to accidents. Those injured because of a co-worker's errors while on prescription painkillers may pursue workers' comp. Workers who are injured due to side effects of their own painkiller medication should consult an attorney regarding their right to workers' compensation benefits. Walker, Billingsley & Bair in Des Moines help workers who are injured while on the job and wish to exercise their rights to recover workers' compensation benefits. We also can discuss possible third-party claims, if applicable. Call us today at 888-435-9886 or contact us online to set up a free consultation to review the specifics of your case with a lawyer familiar with workers' compensation law in Iowa.